What Are the Odds Playing Slot Machines? Slot machines tend to be the strong silent type. They are solid, dependable, and despite the predominance of female players that use them, they are a real “man” piece of equipment: sturdy frame, pragmatic mechanisms, polished steel, and of course that volatility we all love to hate. But what are the odds playing slot machines? If you’re going to play, you might as well know the way. Some will claim that slot machines are simply “a waste of money.” Those people are wrong entirely. While it’s true that in the objective table games offer better win percentages, gambling is all about those contextual considerations. 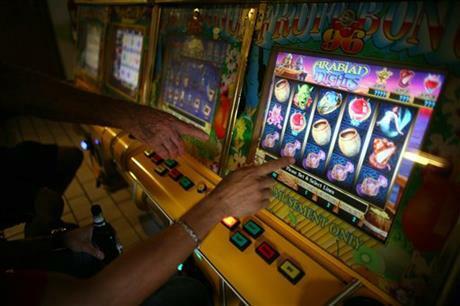 On some occasions, slots are actually the perfect choice, and we will look at exactly when and how that can come to be. Let’s break this down: the house edge is the percentage that the house will win over the player, so the higher the house edge, the worse your chances of winning. Looking at the numbers, we can see that $25 machines are actually the best bet. For more on playing $25 slot machines, check out our post to that effect. One of the other more interesting things to note is the jump from $0.01 machines to $0.05 machines. So it looks like if you want to just laze around playing the bare minimum, it is going to cost you, so you might as well jump up to that $ 0.05 brackets. In general, slot machines are much better suited as short-term games. After all, the more time you spend playing one game, the more likely it is for the house to win back any wins incurred by the player. Since slots have such a high volatility, it’s entirely possible to sit down and within a couple of spins hit the bonus and fall backwards into thousands, if not tens of thousands of dollars. Generally this is not the case with table games, which require some degree of “grinding” in order to walk away with a profit (though certainly not always). The thing that you have to keep in mind when it comes to playing slots is that is that it’s all about the experience as much as the chance at winning. We consistently get feedback here at Silver Oak that the immersive, entertaining games are preferred to the simplistic ones. Case in point: even though some of the most simplistic games actually have slightly better odds than their high-octane counterparts, they are actually the least played. People flock to excitement, and that is what we provide with our industry-leading slots games. Slots are almost like a movie that you are watching and participating in, but with the chance to win some crazy awesome cash. If you are sitting down at your computer looking for immediate fun and creative engagement more so than table game drudgery where you need a coffee IV just to stay awake, then you are definitely a slots person. Don’t let anyone, or any set of numbers dictate your play. The numbers are only one part of an entire range of experience that makes gambling what it is: exciting!